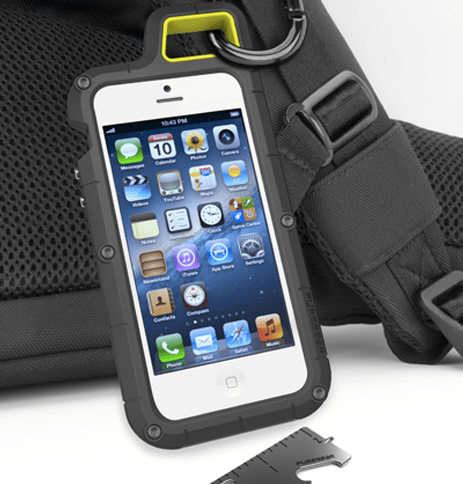 The PureGear PX260 and PX360 iPhone cases protect your phone from the bumps and bruises of everyday use with rugged styling that’s easy on the eyes. Especially with the introduction of the very slick looking iPhone 5, no one wants a case that just adds a bunch of bulk that detracts from the look of their phone. The PureGear PX260 and PX360 combine the need for protection with the desire for something that still looks good. 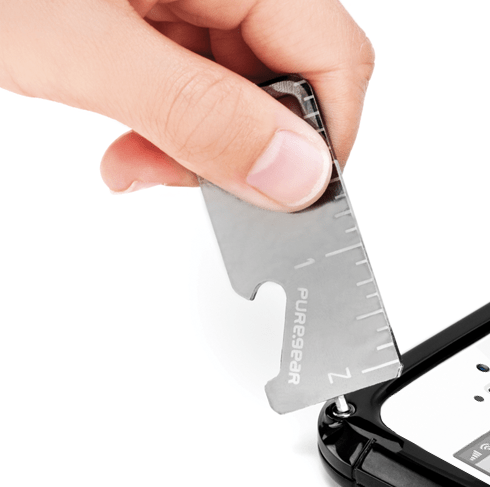 The PureGear PX260 and PX360 cases come with a little utility wrench that screws the case securely onto your iPhone. Once it’s on, there’s no way it’s coming off until you decide to take it off. The tool is also multifunction, as it has a built-in wrench and bottle opener and acts as a little stand for your iPhone. Each case also comes with a screen shield and a water-resistant pouch that’s big enough to hold your iPhone and the other stuff you usually have in your pockets like keys or a wallet. It’s made of thick plastic, which is reassuring, and seals tightly so you can use it confidently in damp or dirty environments. The difference between the two cases comes in the addition of a sturdy loop built into the top of the PureGear PX360 case that comes with an attached carabiner. You can clip it to your belt, bag or whatever you like and eliminate worries about your iPhone slipping out of your pocket or falling unnoticed out of your bag. Out of the box, the cases are easy to install. You just unscrew the front and back with the utility tool and then screw it back together. Easy. My only complaint here is that if you like to switch your phone case often, then you’re going to have to take a few minutes to screw it and unscrew it every time you switch cases. The cases themselves are lightweight and don’t add a huge amount to the profile of the phone but you will notice that it adds a bit more width. I prefer the PureGear PX260 for everyday use as its lighter weight and not as tall. There’s a cover at the bottom of the case where you plug in the power cord to charge your phone, and that I found a bit of a nuisance. If you plug in your phone to say, a car adapter, you’ve got to open and close this door every time and it was a little fidgety to close snugly. The door is easily removable so I just popped it off and the problem was solved. It was also a little tough to access the audio jack socket. Some connectors fit just fine, but with wider connectors there isn’t a lot of extra clearance around the opening in the case and it got hung up and wouldn’t push fully into the socket necessitating a switch to something slimmer. That said, these still function beautifully, and they look good. I got a lot of compliments and questions about the case based solely on it’s unique, rugged styling. The PureGear PX360 in particular looks great clipped to your bag. It’s freezing cold here in New Hampshire, but this is going to be the case I clip to my bag out hiking this summer. These are both some of the best looking cases I’ve tried for the iPhone 5 and also the most sturdy in terms of how they feel. I felt confident that a drop or accidental bang wasn’t going to result in an easily damaged phone. 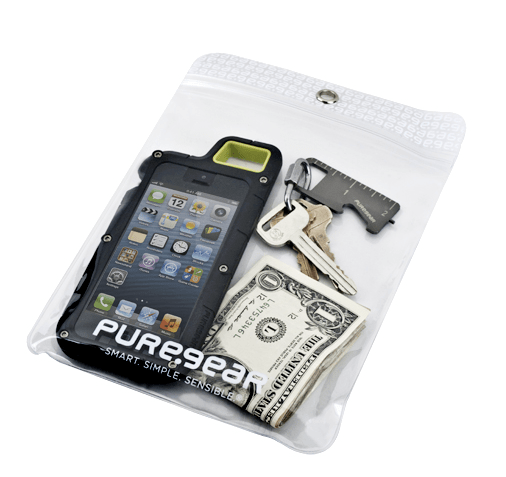 The PureGear PX260 ($39.99) is available for the iPhone 5 and Galaxy S III while the PureGear PX360 ($49.99)is available for the iPhone 5, 4/4S and Galaxy S III. I received these cases for review purposes.